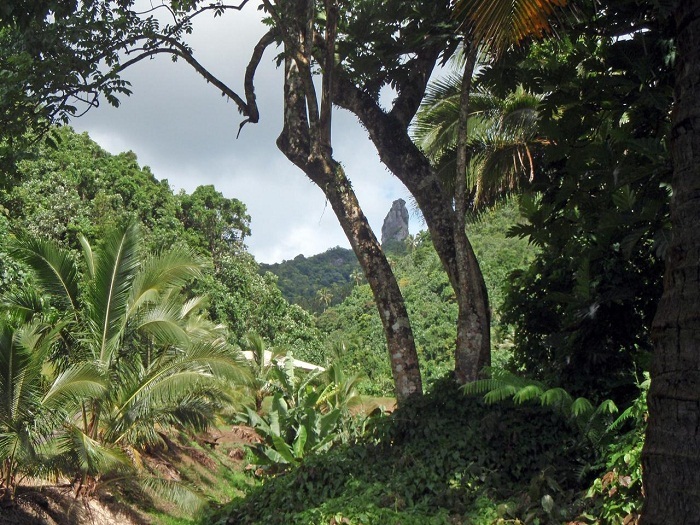 The Needle, also known as Te Rua Manga, is a prominent stone peak that is located in the central part of the most populous island of Rarotonga, which is part of the self-governing island country in free association with New Zealand, Cook Islands. 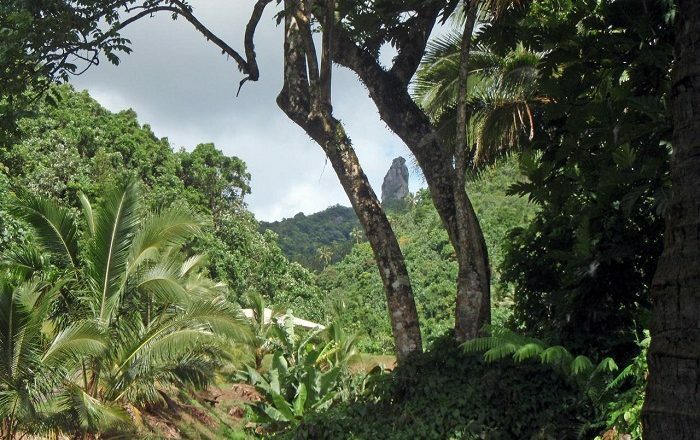 Standing at 413 meters (1,355 feet) above the sea level, this ancient ceremonial stone jutting out of the top of one of many Rarotonga’s peaks, was created some 1.5 million years ago, when the volcano at the center of Rarotonga collapsed creating an U-shaped large basin, better known as caldera. 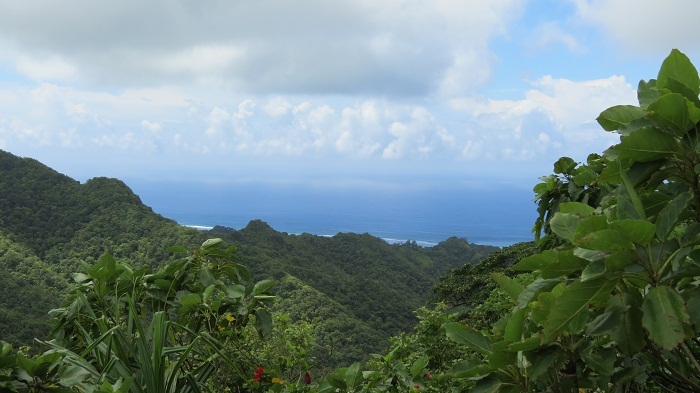 This caldera outlined the many peaks today we see on Rarotonga, among which Te Rua Manga is as well. As there were cracks during the collapse which were filled with volcanic ash and rocks, this loose material then was welded into rock of angular fragments of stones cemented by finer calcareous material which with the help of the erosion was removed completely creating the Needle. 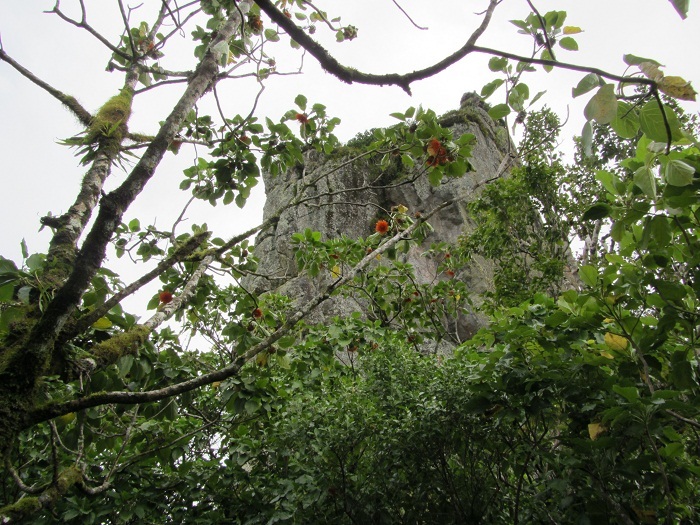 Te Rua Manda is a near vertical cylinder of rock that is roughly between 65 and 85 meters (213 and 279 feet) high, and there are certain hiking trails that lead to the base of the spire. The hike in some parts is a little bit slippery as it goes through a lush vegetation and forest that does not allow much sunlight to touch the ground. 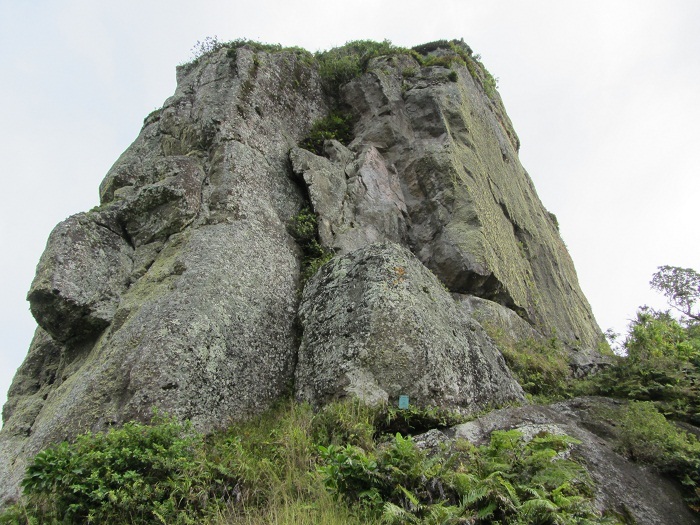 Still, once the volcanic plug is reached, experienced climbers are daring the challenge of “conquering” the small peak, but everyone should be quite aware of the dangers the climbing brings. Nevertheless, once the top is reached, the landscape views are simply mesmerizing and epic making everyone feel like they are on top of the entire world. 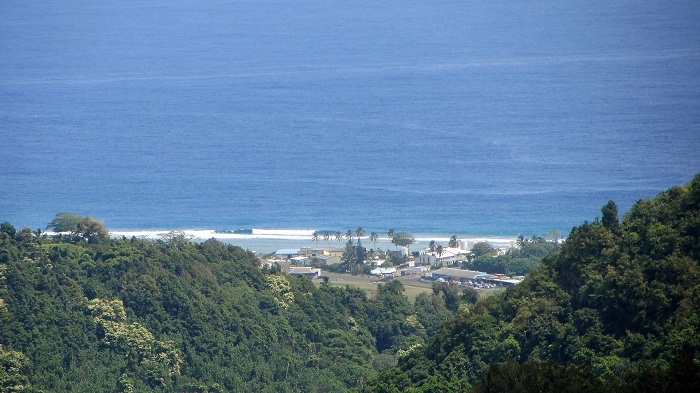 All in all, being one of the most striking features of Rarotonga, The Needle is certainly considered to be the highlight of some of the visitors to this Cook Island.